This lesson focuses on artwork and storytelling. 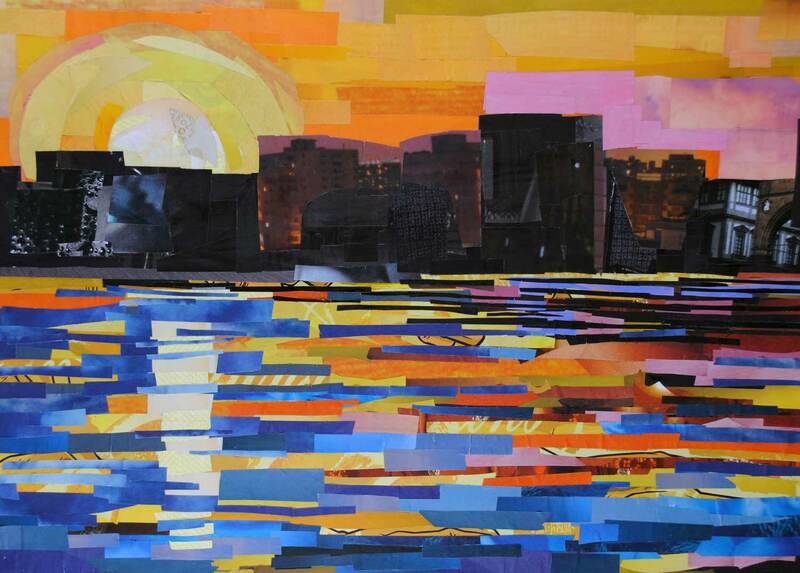 Students will study a work of art, tell a story based on that work of art, and make their own paper collage. Lesson plan that focuses on collage artist Megan Coyle’s first children’s book, Duck & Fish. Students will read the story, then write and illustrate their own adventure. Review Megan Coyle’s photo collage series where students will learn to identify different landmarks of cities. Students will also get to create a Bosty photo collage series by bringing in their own photographs. Students will learn more about different animals and their habitats. The class will make their own animal collages and write a story about visiting the zoo and the animals that live there.